We've already discussed about this method in our earlier post Post # 36 Using getTitle( ) method for retrieving the Title of the page. 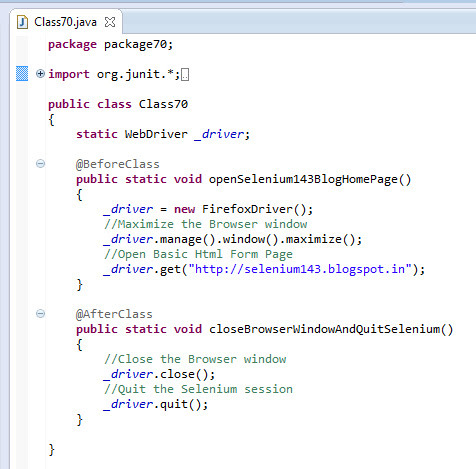 Go through the Post #36 and observe that we've used the JUnit method assertTrue( ) JUnit method to verify whether the the Selenium WebDriver method getTitle( ) has retrieved the correct page Title. But now lets use the same getTitle( ) Selenium WebDriver method with assertEquals( ) JUnit method to verify whether the the Selenium WebDriver method getTitle( ) has retrieved the correct page Title. 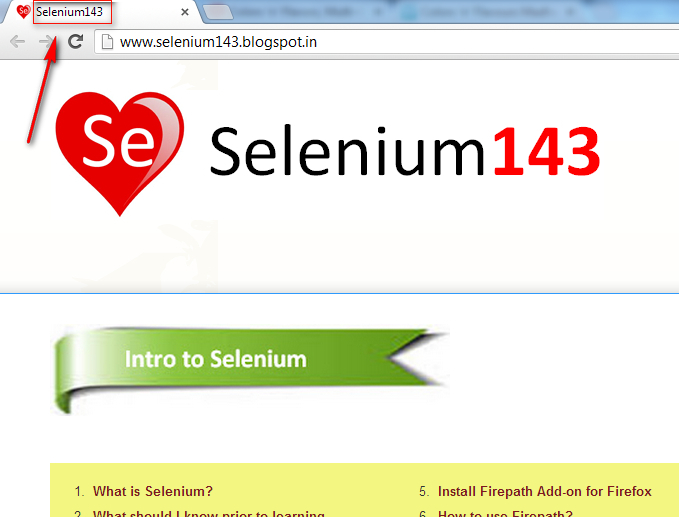 Now lets use the Selenium WebDriver method getTitle( ) to retrieve the title of the page. 3. 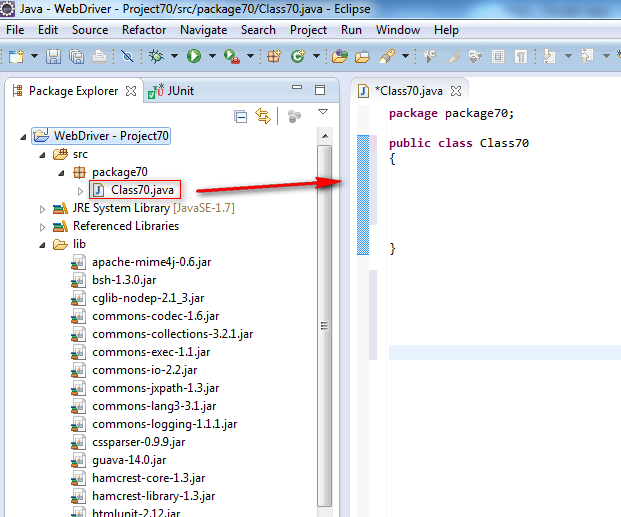 Create a package say 'package70' under the newly created project. 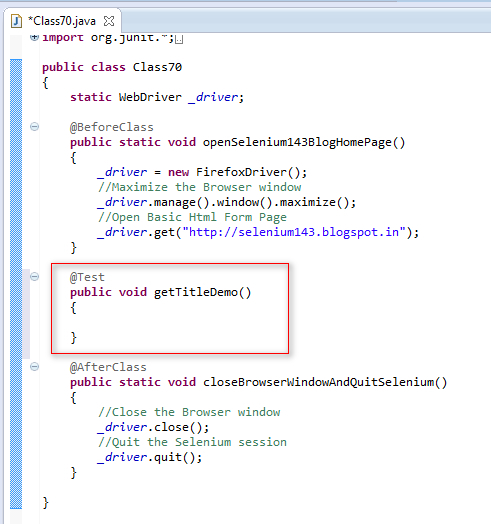 Using getText( ) to retrieve the elements text will be explained in the next post.